The Ruia College Sports Academy has nurtured stalwarts in sports. The Gymkhana is fully equipped with a badminton court, boxing ring, highly sophisticated exercising equipments and a shooting range of international standard. 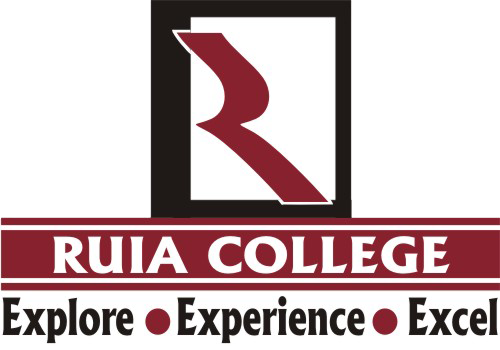 The College has established Ruia Sports Academy to train young children in various sports. It aims at tapping young sports talent and trains them through available sophisticated sports facilities. The academy conducts various trainings for students in sports and also encourages them to participate in State / National and International sport competitions. Many of our students have made us proud by winning various tournaments organized at State / National and International Levels. 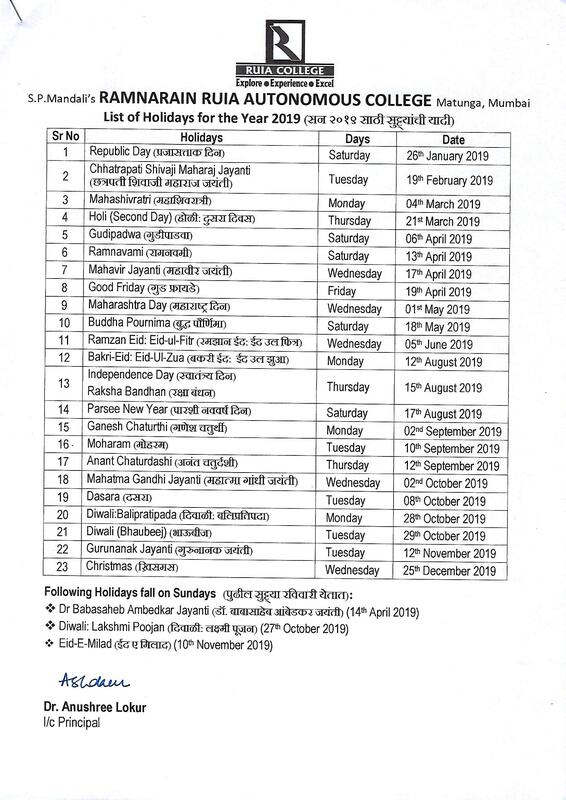 Every year students are selected for various sports teams in Male and Female categories both. Under the sports academy college has various sections and also conducts coaching in various sports and encourages students to participate at the University, State, National and International level competitions. 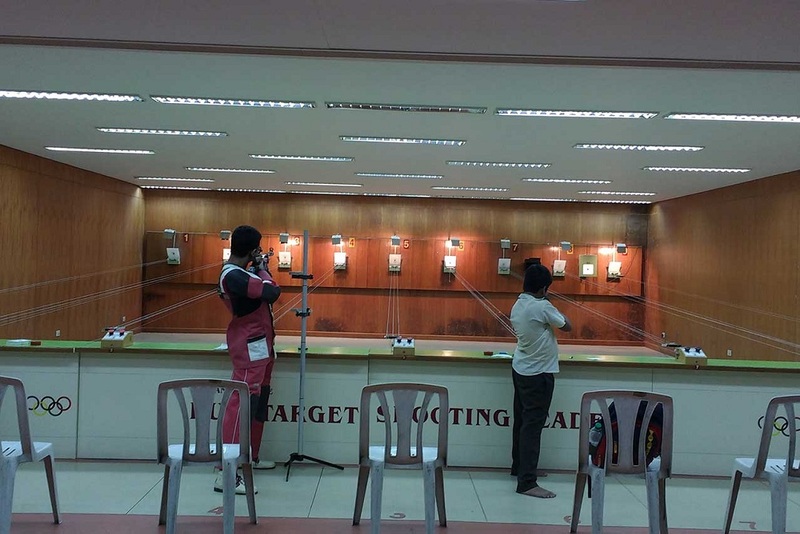 The gymkhana has a state-of-art Rifle Shooting Range. 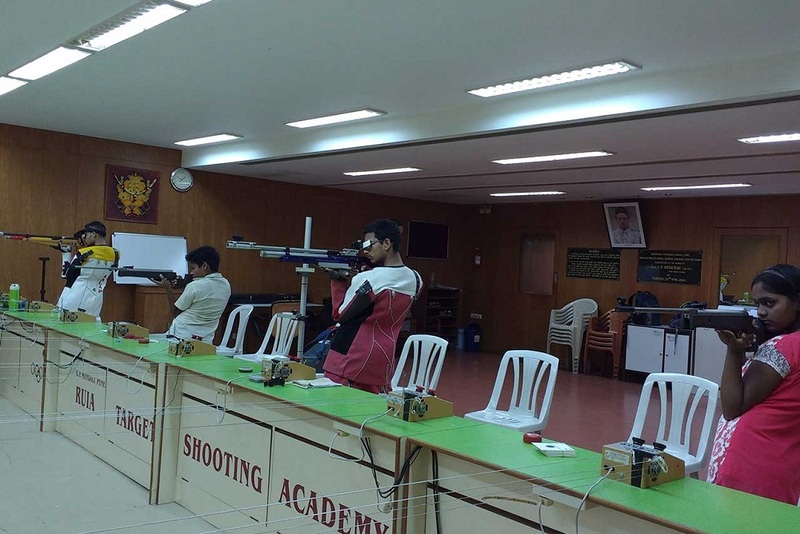 Many students are trained in rifle shooting and have also won prizes at various competitions. The rifle shooting range is open to all. 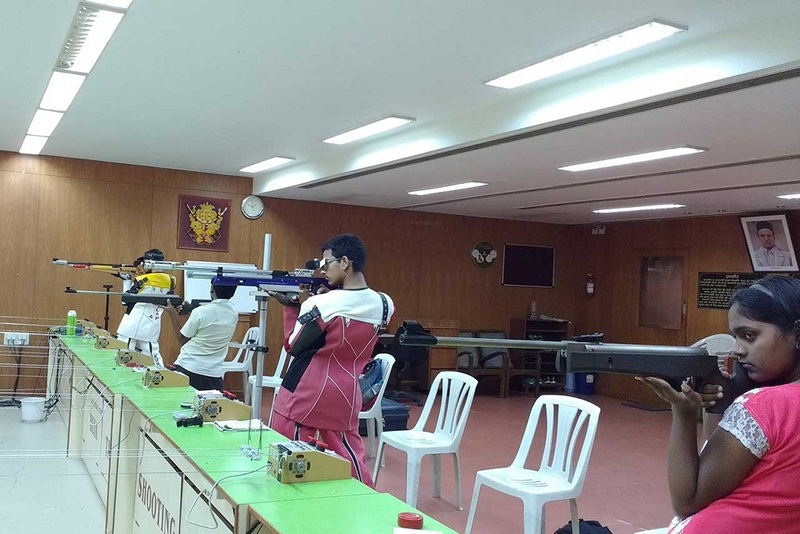 College has appointed trainers who take care of training of the students joining the rifle shooting range. Badminton court is also the part of Ruia College Sports Academy it has been playing an important role in gaining laurels for the college. This is also open for all who want to learn badminton.